Security giant G4S has appointed Nigel Fairbrass, SABMiller's former senior vice-president of global comms and reputation, as global director of media. Fairbrass stepped down from his role at SABMiller a year ago and was put on gardening leave for three months. He spent more than ten years at the company, joining in 2003 as investor relations manager and becoming head of media relations a year later. He was SVP of global comms for three years before he left. Fairbrass told PRWeek: "In G4S, I am joining a business well placed to capitalise on some substantial emerging market growth positions, at a time when the security of assets and people could not be more relevant in the global context." 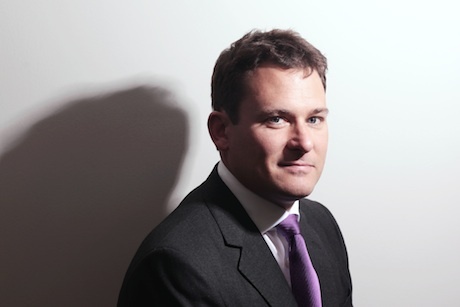 Fairbrass previously worked at financial PR firms Brunswick Group and Tulchan Communications. In December, G4S global media relations manager Piers Zangana left to take up the role of head of comms at UK food and hospitality business WSH. He had been in the role for two years. In 2013, G4S dropped Bell Pottinger and Tulchan Communications and appointed RLM Finsbury in a bid to help it recover from a disastrous year. The company faced severe criticism in the run-up to the London Olympics when it failed to provide enough security personnel to fulfil its £284m contract. FTSE100 company G4S has a turnover of £7.4bn and operates in 125 countries.